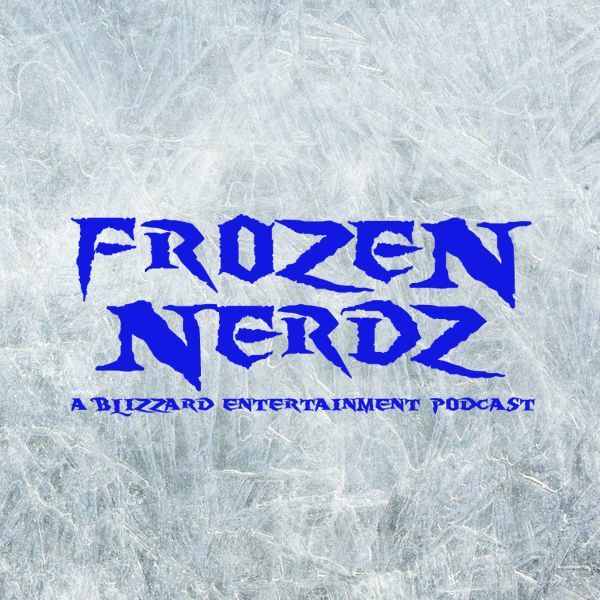 Frozen Nerdz is a Blizzard Entertainment discussion podcast. Each week we bring new points of view, in a not so standard format. We discuss the games you love, the world's you live, and maybe even a few you haven't even heard of before. Join us each Tuesday for a new episode! Each week we cover every Blizzard Entertainment game on the market, what can we say... we have a thing for the cold! These Nerdz actively play World of Warcraft, Hearthstone, Diablo 3, Starcraft 2, Heroes of the Storm, Overwatch and beyond! But the fun doesn't stop there. Each week on the show we play our featured Blizzard Arcade game, or what we like to call it, the Starcade. From time to time, we go off the rails and talk about everything and anything video game related! So if you are looking for more than just a podcast or want to be entertained like you are sitting in the same room as the hosts, you will definitely want to check us out. You can find us on itunes, Stitcher Radio, and Hipcast every Tuesday morning. So sit back, relax and enjoy the show! Welcome to the Frozen Nerdz Podcast Episode 54 titled Epic’s Box O’ Epics! We are a your Blizzard Entertainment and Steam Free to Play discussion podcast. Each week we discuss anything that falls in between or outside those two glaciers. From talking about the games you love, the worlds you live in, AND maybe even a few you haven’t even heard of yet. Join Kilroy and Epicinsanity each week as we sit down and discuss the topics no one else is talking about as we bring you new points of view in a not so standard podcast format. The show was recorded on Sunday, March 29th, 2015. And was released on Tuesday, March 31st, 2015. On Today’s episode we quickly go over our weeks in video games, then we jump right into covering all of this weeks news inside the Blizzard Entertainment Universe. Then we drop a basic campfire and talk about our World of Warcraft! This week we discuss the toxicity of community, harsher punishments for deserters, some love for the lore aspects of the game, and then we wrap it up by talking about the item level increase. Then we switch things up and move onto the StarCade! This week we cover Psionic Warfare: Total Destruction, a Blizzard Arcade Free to Play third person shooter. Then we move over to our Community Creation part of the show were we show another beautiful Diablo 3 fan creation! Then we move over to the Icebox where we answer an email from Zach! If you have any questions, comments or concerns for the show, feel free to email the show at IceBox@FrozeNerdz.com. Then we wrap up the show thanking those people who supported the show this week and then we say our weekly goodbyes. So sit back, relax and enjoy Episode 54 of the Frozen Nerdz Podcast. Episode 250 - On the Road to Episode 1000! Episode 249 - Pity The Fool! Episode 248 - Fireworks from Behind! Episode 246 - Portalapocalypse Inc.! Episode 245 - Dinomancers are Coming!